Artificial Intelligence: where is it taking us? What is Artificial Intelligence? What can it do? What can it not? Will it take over our jobs and make humans redundant? If you’re like me, you used to think artificial intelligence was a silly sci-fi concept, but have lately been hearing about robots taking over our jobs. And you don’t quite get it. No, they aren’t. At least, not yet. AI is a scientific discipline rooted in computer science, mathematics, psychology, and neuroscience. The aim is to create machines that mimic human cognitive functions like learning and problem-solving. However, like so many other new technologies, AI has generated a lot of unrealistic expectations. For example, simply calling a dating site “AI-powered” doesn’t make it any more effective, unless you write an algorithm to recommend highly relevant matches at scale. Algorithms are not one-size-fits-all. The kind of algorithms that power sites like Netflix often fail to capture the nuances of dating, such as our subjective tastes and other preferences. So, how do you go about creating an AI algorithm? In basketball, the “hot hand” fallacy is a belief that a player who has experienced success in a seemingly random make has a greater chance of further success in additional attempts. The “hot hand” is a cognitive illusion . People’s tendency to detect patterns in randomness led them to believe in an illusory “hot hand”. The fundamental concept of AI programs is to detect patterns among millions of data points that you feed into the system. Sometimes the output has significant impact, sometimes it does not. In 1997, when a computer beat Kasparov in chess, it cemented the belief that someday it would be possible to create a program that can outsmart human beings. We can now build systems that learn how to perform tasks on their own. Though far from perfect, millions of us are already using the feature. Think Siri, Alexa and Google. 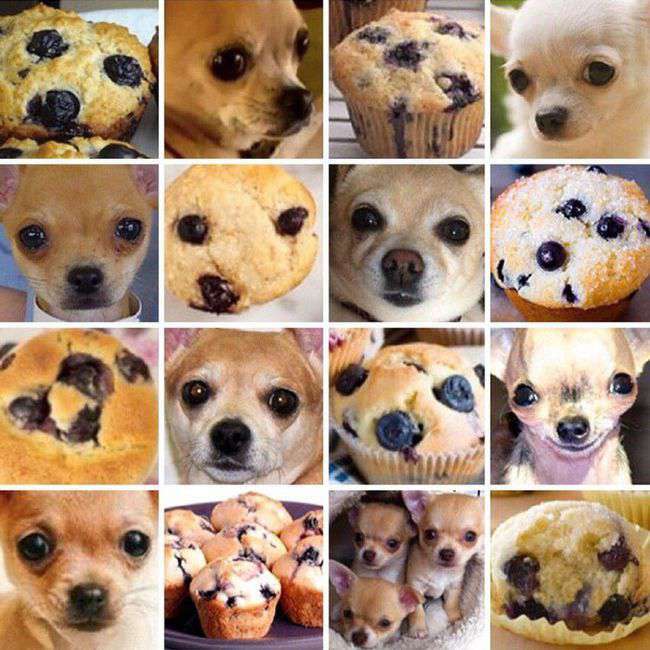 Puppy or Muffin tests have an error-factor of less than 5%. Dozens of companies are using machine learning (ML) to decide what trades to execute on Wall Street. 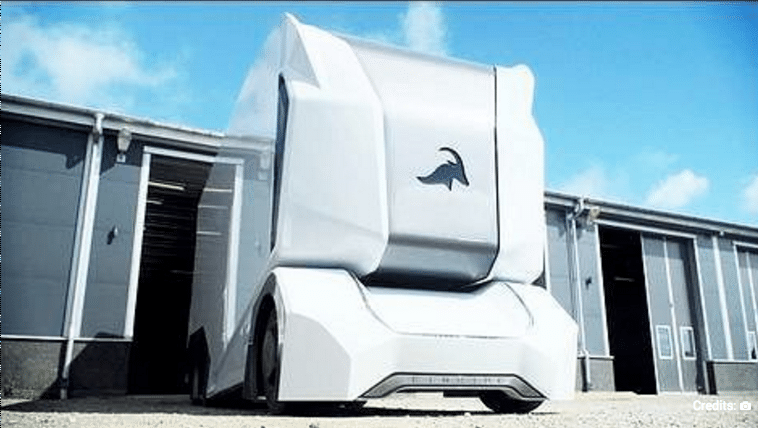 Forget about cars, companies are developing driver-less trucks and container ships. Look at Einride’s T-Pod as an example. A freight vehicle that has no place for a driver; steering wheel, windshields, and pedals are also absent. These are impressive achievements, but still the applicability of ML systems is quite narrow. They are programed to perform specific tasks and, typically, their knowledge does not generalise. We are far from programs that exhibit intelligence across different domains. Successful programs use a training set of data or structured data with millions of data points which are tagged accordingly. Once it matures, it can look at unstructured data and predict answers with a high rate of accuracy. Ray Kurzweil, a futurist and technologist, says, “Fundamental measures of information technology follow predictable and exponential trajectories.” This theory is what he calls Law of Accelerating Returns where he propounds that this happens because advanced societies progress at a faster rate simply because they are more advanced. The combined number of innovations in the 18th and 19th centuries doubled in the 20th century. This goes on and on till we reach a point where the whole of 20th century’s worth of progress will be accomplished in just one month. No, it isn’t, because we still need clever scientists and engineers to build robots and drones, write ML programs, create technology to reverse human ageing, cure diseases and hunger, and even come up with a remedy for mortality. What are your thoughts on Artificial Intelligence? Please share your thoughts on AI taking over the world workforce on our FB page. We’d love to hear from you. Prasanna Venkatesh is part of Influx’s Client Servicing team. Fascinated with marketing and Digital as a medium, this almost-dentist, dropped out of dental college in his final year and joined O&M. Prior to Influx, Prasanna did a stint at Sulekha before launching his own AI startup. Where is food with the digital world?